Funeral services for Ms. Ernestine Lane will be 1:00 PM Saturday, November 24, 2018, at Ligon & Bobo Funeral Home with Bro. Bruce Grubbs officiating. Interment will follow at Wilson County Memorial Gardens. Visitation Friday 3-7 PM and Saturday after 11 AM at Ligon & Bobo. Ms. Lane, age 88 of Walter Hill passed away Tuesday, November 20, 2018, at Mount Juliet Health Care. 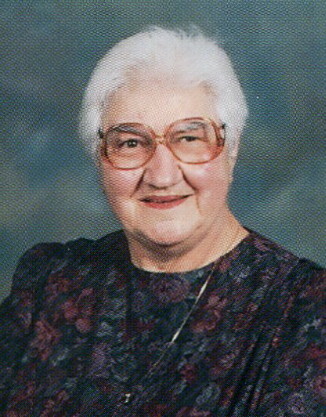 Born February 16, 1930, in Gladeville, she is the daughter of the late Cauley Ezell Lane and Lura Sanders Lane. She retired from Middle Tennessee Electric where she worked as an accountant. She was a member of Gladeville Baptist Church. In addition to her parents, she was preceded in death by a sister, Lela Mai Johnson; four brothers, Billy, John, Claude and Joe H. Lane; nephew, Don Johnson; and great nephew, Ryan Thomas. She is survived by sisters in law, Lois Lane and Sara Price; nieces, Kay Johnson, Judy (Phil) Davis, Debbie (Rodney) Thomas, Linda (Mike) Wallace, Tami Densmore, and Laura (Bud) Watts; nephews: John (Karen) Lane Jr., David (Lorri) Lane, and Joe (Niki) Lane; several great nieces and nephews; and great great nieces and nephews.